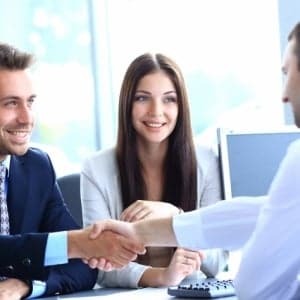 Voted one of the best accounting firms in St. Louis for three years running, as well as an Expertise Best Bookkeepers in St. Louis for 2019, Pooley Accounting Services, it's easy to see why our clients consistently recommend our accounting services. With specialties in accounting and bookkeeping, our accredited staff is certified in all the necessary areas to ensure your books are in good hands. When it comes to the St. Louis area, Pooley Accounting realizes the draw to purchase property in the city of St. Louis, St. Louis County, and St. Charles County. Why? We own homes, land, businesses, and investment properties here just as you do. This area holds an appeal for families, singles, and investors alike that just can’t be matched elsewhere in the state. Metro St. Louis and the surrounding areas hold a wealth of opportunities for real estate investors. There is wonderful potential to build long-term wealth, whether you plan to purchase one property or several. In addition, the area provides a variety of investment properties ideal for rehabbing and selling, or holding and renting. No matter what your ideal level of investment or the number of properties you own, real estate investing is a small business. 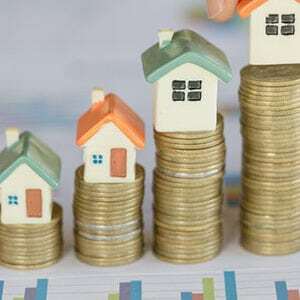 In particular, the purpose of your real estate investment business should be to produce a profit, which necessitates careful attention to your business’s finances. For any investor serious about generating real estate income, attention to accounting practices is essential. However, you may have already found that your grasp of the accounting process is tenuous at best. Or, you may have realized that the day-to-day operations of your business in addition to the renovations, maintenance, upkeep or sale of your investment properties leaves you with precious little time to focus on the essentials. In either case, Pooley Accounting Services can provide the real estate accounting you need to keep the profits flowing. This concept can seem like common sense, especially for an experienced investor. Unfortunately, we’ve come across too many successful investors who fail to adequately track the income and expenses of their businesses separately from personal income and expenses. Whether your investment properties are your primary source of income, or you’re taking a bit of a leap and investing in a property to flip, you must keep your personal and business finances separate. When your personal finances are combined with your business or investment finances, you remain largely unaware of the success of your business. You could be losing money hidden by your personal income and assets and not even know it. Pooley Accounting Services will ensure that only investment-related income is tracked within our system. In addition, you’ll have 24/7, online access to all your books, guaranteeing you’ll be able to stay on top of the financial health of your business. In light of the pitfalls of maintaining business and personal expenses together, most investors choose to own properties in an entity’s name rather than their personal name. 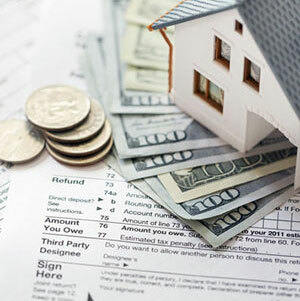 This prevents your investment properties from liability in the event you are sued or pursued by the IRS or creditors. Many investors choose to form an LLC to protect their investments, though other strategies include moving funds to a trust. It is important you work with a trusted professional to form your asset protection plan, and Pooley Accounting Services can assist you in protecting your investment. It is important to separate your expenses by type. For instance, your loan payments, their interest, your time remaining, the due date, and all other pertinent information should be readily available to you at all times. This is especially true when you’re juggling multiple properties and their associated loans. Maintenance, repairs, and renovations are another area of expenses that can appear similar on a bookkeeping sheet, but actually belong in different expense categories. For example, the money you spend renovating qualifies as an investment with a future return, while maintenance and repairs are liabilities that come with owning a rental property. Pooley Accounting Services does not prepare taxes, but we can ensure your books are in top shape to make tax time as easy as possible. You’ll simply need to access your information, provide it to your CPA, and proceed with your taxes. In addition, proper documentation of all your deductions, repairs, and other tax-related items can ease the stress of an IRS audit. Pooley has your back in the event of an audit and can help you prepare and package everything you need. Small business owners like you struggle with the daily demands of running a business. At Poolely accounting services we help small businesses and non-profits get a handle on their accounting so they can take the control of their business and be more successful. We utilize Quickbook software and other integrated tools to get your finances running smoothly and help you grow your business. Please contact us today to schedule a free initial consultation on how we can impact your bottom line. Call me Louise Pooley 314-260-7808 to schedule your consultation today. Looking For Real Estate Investment Accounting Services? Pooley Can Help. Whether you’re investing in your first property or the latest of many, Pooley Accounting Services offers award-winning services to help you grow your business. Contact us today to find out how we can help you. With our onsite service, we’ll come to your office or home during designated days and times. Our staff work quietly and independently, interacting only as needed. With our remote services, you get professional accounting assistance online. 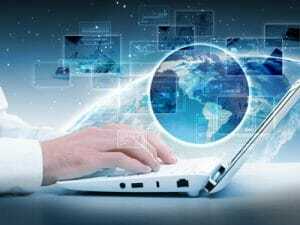 Our staff use a secure internet connection to access your information and meet your accounting needs. 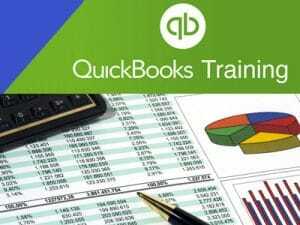 We offer Quickbooks® training regardless of your experience level. We teach the foundations, like how to setup your company, and customize your data. Pooley Accounting offers on-site services, where we come to you and provide accounting services, allowing you to ask and answer questions and be involved as little or as much as you desire. Alternatively, we can access and manage your books remotely, allowing you to avoid the time obligations necessitated by regular meetings. In either case, you determine the level of service you want – choose from comprehensive bookkeeping services or regular supplemental consultations that give you the freedom to manage most of your own books. All levels of service provide you with 100% secure access to your investment properties’ finances. Evaluate on your own or collaborate with us to determine the assets that are bringing in the most cash flow and the debts that may be dragging you down. Whatever level of service you need, Pooley Accounting Service has the solution for your real estate investment business. Pooley Accounting is extremely responsive, flexible, accurate and personable. They make every attempt to explain concepts to the client and I recommend them as Superior and Excellent in the work they deliver.